Here we discuss why switching career from Java to Hadoop and how easy it is for you to switch from Java to Hadoop. Hadoop is the Open Source and Java-based framework and that supports processing of large sets of data. Hadoop MapReduce used Java for written programming scripts so works on Hadoop Java knowledge is Imperative. Having knowledge in Java makes it a cake walk when it comes to switching over to Hadoop. If you are Java Developer in this IT industry, you are seen as just person but if you are Hadoop Developer you are seen as Leader of the IT world because now Hadoop is hot technology and growing Hadoop jobs fastly in Market demands. If Java Professionals having required skills for working as a Hadoop developer they are picked by big MNC’s for High Salary Packages. Your Hadoop Career does not stop with only Hadoop Developers. 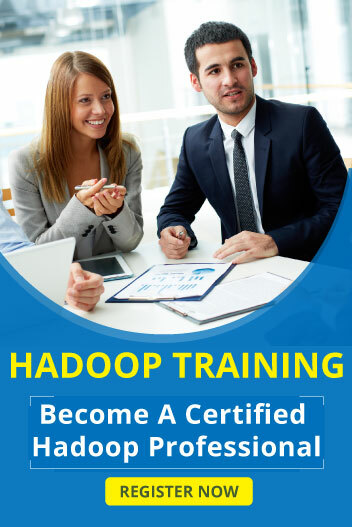 Hadoop industry always the best opportunity to use your Hadoop skills and expertise to move into higher levels such as Data Science, Machine Learning, Artificial Intelligence and Sensor web data. Good knowledge in Hadoop could boost your chances of getting jobs on bigger companies like IBM, Amazon, eBay, Google, and Facebook. While Hadoop opened new Hadoop job opportunities for software industry professionals working on Java technologies are making the best career shift to learn Hadoop. According to the Dice web, that analyzing the hiring trends “Java-Hadoop” combination is the most skill in the IT industry. Hadoop industry have better salary package in Hadoop compare with java industry. If you switching Career from Java to Hadoop you can except high salary package than java. Average salary package of Hadoop developers with 1 – 2 years of experience is around $140,000 per annum. As you become a best Hadoop developer or senior developer you can earn $400,000 salary package per annum. Switching your career to Hadoop or Big Data will help you work in different industries other than IT and Software industries. Hadoop is used in various industry such as Healthcare, Telecom, Banking, E-commerce, and Media. Big Data and Hadoop are widely used in applications such as IT log analytics, Fraud detection, Social media analysis, and Call centre analytics. These are some rock-solid reasons why switching your career from Java to Hadoop and how it can help take your career to the next level. Moving from Java to Big Data Hadoop would be the best career decision you will make to excel in your career at present times.